A selection both of published and of student essays that provide examples of various styles of scholarly citation. A selection of essays available through the Broadview Anthology of Expository Prose website. Over 1000 questions in 100 distinct interactive exercises, and also exercises for review and discussion. A Seeing and Meaning section, offering examples for reading (and writing about) visual images. Links to other helpful and reliable sites. 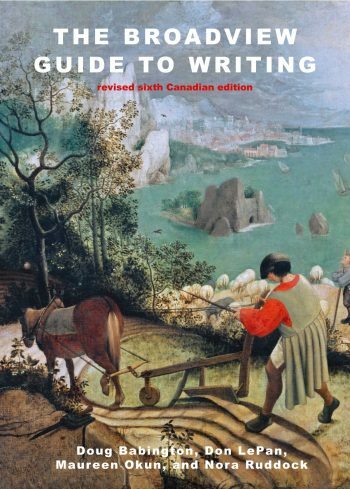 If you purchased a new copy of any edition of The Broadview Guide to Writing or The Broadview Pocket Guide to Writing you will have received a card containing a valid access code. If you purchased a used copy of any of these titles, you can purchase an access code here.